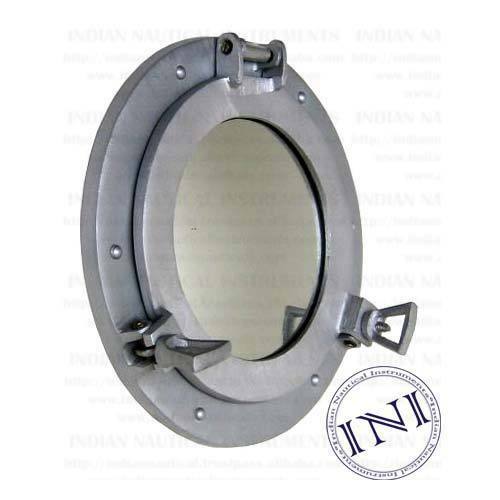 We are distinguished manufacturers of Porthole Frames. These Portholes 4859 are manufactured from high grade raw metals to offer high durability to our clients. Portholes 11 are widely used as a decorative piece in various ships and aircrafts. These are offered in standard shape and sizes as per the specification of valued customers. Being a reputed business house, we are engaged in manufacturing and exporting of all kinds of Nautical Instruments, we offer a vast product range in terms of elegant and creative designs, colors and many more. Our vast product range includes high quality product ranges from Nautical Décor, Home Decor Products, Nautical Decorations, And Exotic Collection of Medieval And Ancient Nautical Instruments, Antique Nautical Instruments, Corporate Gifting Items and many more. Offering the unique range of products, we owe a distinct position in the market and our products are designed and made up of superior quality copper, brass, and stainless steel as per customer’s norms. We are known in the market for high quality, good services, competitive pricing and fast delivery.